Arrest suspects are protected from excessive force under the Due Process Clause of the United States Constitution. Although severe injuries are not required to file an excessive force case, not every push and shove by a Chicago police officer can give rise to a viable police brutality claim. The primary question in Illinois police brutality cases is whether the actions of the arresting officer were carried out in a “good faith effort to restore discipline” or the result of a desire to cause harm to an arrestee. Proving that an officers’ use of force was in bad faith is often achieved by showing that the type of force used was objectively inappropriate. Injuries to subdued arrestees : Police should not hurt an individual after they have been handcuffed or otherwise taken into custody. Police officers can be held liable for punching, kicking or otherwise hitting individuals who are handcuffed and not posing a threat to officer safety. Improper take-towns : Police officers should only use violent takedowns in extreme situations where an individual is forcibly resisting a lawful arrest. If you have been subjected to choke holds or other improper police take-downs despite not resisting arrest, we can represent you for your injuries. Baton beatings : Batons are police instruments that can be just as dangerous as gun use. Police officers must refrain from hitting a person with batons after they have been subdued and many police departments ban baton hits to a suspect-s head because these can result in debilitating brain injuries, spinal cord injuries, disfigurement and wrongful death. Tasers : many police departments view the use of tasers and other electrical-shock devices as a convenient way to quickly get a suspect under control. Unfortunately, there have been several individuals who have suffered severe personal injuries, including heart attacks, due to excessive or unnecessary taser use. Gun use : the use of firearms by police officers should be a last-case scenario. Police shootings are growing increasingly common and often impact bystanders and misidentified individuals. These types of cases are quite prevalent in Chicago and some of the surrounding collar counties. 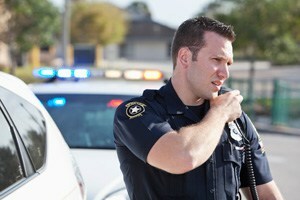 Car accidents : the use of a squad car to stop a suspect can result in serious personal injuries or the suspect-s death. The reckless operation of a squad car can also endanger the lives of innocent pedestrians and other motorists. Despite various forms of legislative immunities that protect officers engaged in the color of law when they are in a squad accident, GWC has been successful in many cases where squad cars caused serious injuries to other motorists and pedestrians. High Speed Chases : The City of Chicago, like many municipalities, has General Orders requiring officers to Cease and Desist high speed chases under many different scenarios. Unfortunately, these General Orders are frequently ignored in the heat of the chase. Once again, GWC can help! Cities and state agencies aggressively resist excessive force claims, especially when an arrestee has not suffered debilitating personal injuries, or has a prior criminal record. That is why it is important to contact an experienced police brutality lawyer who has the skills and resources to prosecute your successful case against state and local governments. Over the years, the Chicago personal injury law firm of Goldberg Weisman Cairo has earned the reputation as a very aggressive personal injury litigation firm. We have the skills and resources to successfully litigate police brutality claims against even the best funded agencies and cities in the state, including the City of Chicago. Take a look at our Case Results section of our website and you will see the large results that we have secured for several of our client in a variety of different types of injury claims. Our attorneys work with a wide array of experts and specialists to thoroughly investigate and prepare every case, which is why we are so successful in maximizing our clients- recovery in settlement negotiations and during trials.